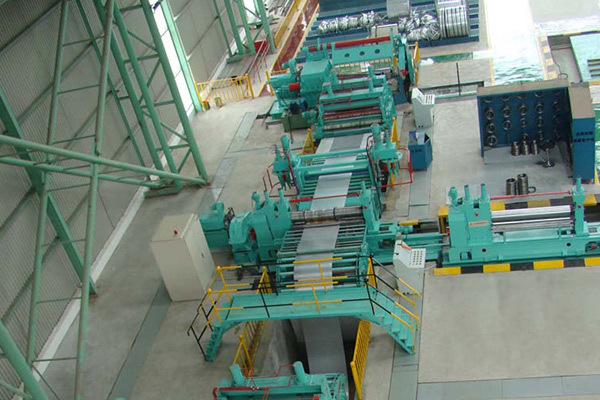 ﻿ What is Steel Coil Slitting Machine? - RISHBIN WUXI CO., LTD.
Steel coil slitting machine is a kind of equipment for longitudinal cutting of metal bandwidth coil materials. For steel coil materials: such as sectional strip steel, stainless steel, copper, aluminum foil etc., mainly used in steel processing factory (steel market operators, the steel rolling factory, electrical appliances industry, automobile, stamping parts, etc.). Different from general shearing equipment, this equipment is the round knife on the plate rolling, thereby to complete a new type of infinite shear action. Steel coil slitting machine is an important tool for metal strip processing. The main equipment of the steel coil slitter is divided into three types: the simple steel coil slitter, hydraulic semi-automatic steel coil slitting, and automatic steel coil slitter machine. The steel coil slitting machine can also be divided according to the actual size of the material: thin steel coil slitting machine, medium thickness steel coil slitting machine, thick material steel coil slitting machine. According to the type of steel coil slitter, it can be divided into single sheet metal strip and the metal coil. Stainless steel, strip steel, copper foil, copper strip, aluminum strip, tin plate, steel coil, iron sheet and other metal strip coil. It can also be used for the processing of non-metallic materials such as plastic sheet, PVC, red steel paper and polyurethane. Steel coil slitter is mainly used for metal-rolling material, such as strip steel, stainless steel, etc. It is suitable for processing cold rolled and hot rolled carbon steel, silicon steel, tinplate, stainless steel and surface coating. The type of steel coil slitter machine, single machine, generally used for small volume collection. Combined steel coil slitting machine is composed of three parts, reel stand, slitting machine and coil winding machine, which is suitable for large volume. The steel coil slitting machine is composed of the open coil (roll), pricking position, slitting, winding and so on. Its main function is to set the length direction of the wide coil material into a narrow strip of a certain size, to prepare for the processing of the strip in the future.